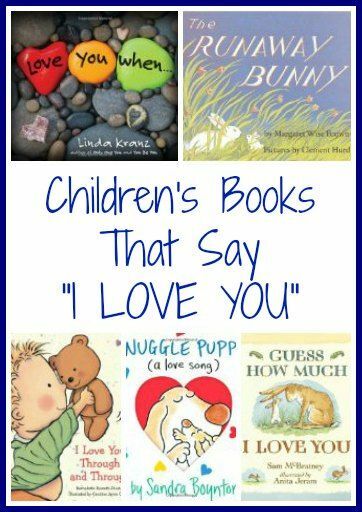 Night Time Picture Books That Say "I Love You"
You can find these good night book’s that say “I Love You” at your local library or purchase them through the affiliate links provided for your convenience. 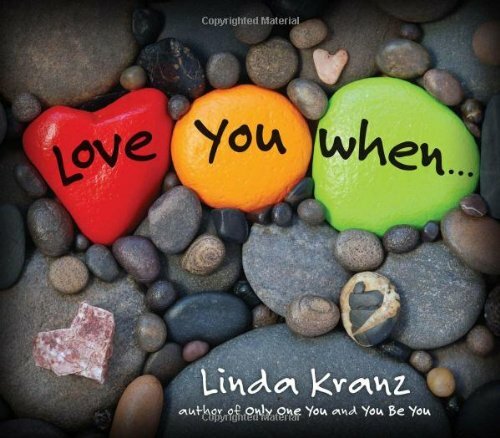 Love You When…: Popular “rock artist” Linda Kranz returns to remind us that those we love are always with us. During the course of each day, something sparks a thought or memory, and a loved one comes to mind. Perhaps it’s a sound, a fragrance, or something that catches our eye; when this happens we can’t help but pause for a moment and smile. So give this book to the special loved ones in your life, and they will share with you all the times they think to themselves how much they love you, when . . . 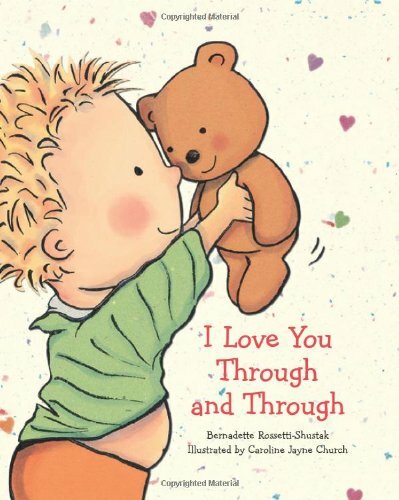 I Love You Through And Through: A toddler and his teddy bear illustrate a young child’s happy side, sad side, silly side, mad side, and more! Babies and toddlers will feel loved all over when they hear this declaration of adoration and affection! Snuggle Puppy! 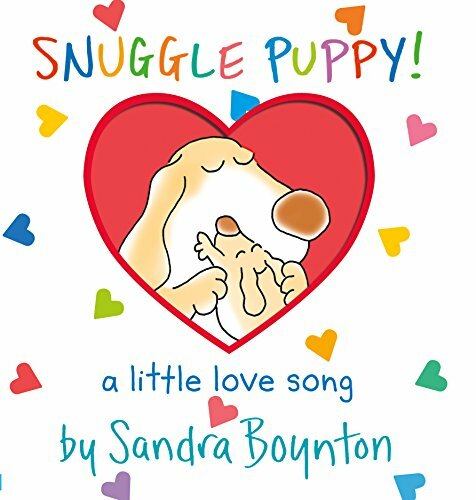 (Boynton on Board): A great big hug in book form, Snuggle Puppy is a year-round valentine from parent to child. It is bright, chunky, a pleasure to hold, and has a die-cut cover that reveals a glimpse of the joy inside before it’s even opened. Best of all, it’s packed, of course, with pure Boynton: her inimitable language, her inimitable illustrations, her inimitable sense of fun. The Runaway Bunny: A little bunny keeps running away from his mother in an imaginative and imaginary game of verbal hide-and-seek; children will be profoundly comforted by this lovingly steadfast mother who finds her child every time. 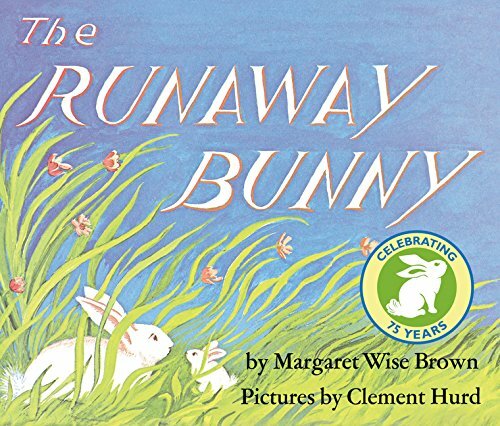 The Runaway Bunny, first published in 1942 and never out of print, has indeed become a classic. Generations of readers have fallen in love with the gentle magic of its reassuring words and loving pictures. How Do Dinosaurs Say I Love You? More than 7 million copies sold. Parents and children can never have enough ways to say “I love you”–and now, America’s favorite dinosaurs are giving families a funny book, perfect for bedtime, storytime, anytime. Even when little dinosaurs are naughty, it’s important to remind them that no matter what they do, they are always loved. In this book, readers will laugh aloud as parents cope with the typical antics of childhood, but in the end, hugs and kisses show your little one how much you care. Mama, Do You Love Me? In this universal story, a child tests the limits of independence and comfortingly learns that a parent’s love is unconditional and everlasting. The story is made all the more captivating by its unusual Arctic setting. The lyrical text introduces young readers to a distinctively different culture, while at the same time showing that the special love that exists between parent and child transcends all boundaries of time and place. 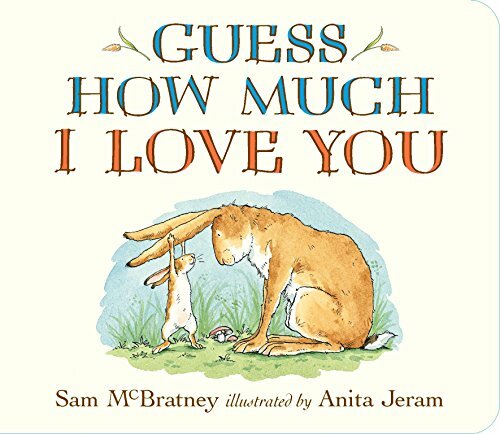 Guess How Much I Love You: Little Nutbrown Hare shows his daddy how much he loves him: as wide as he can reach and as far as he can hop. 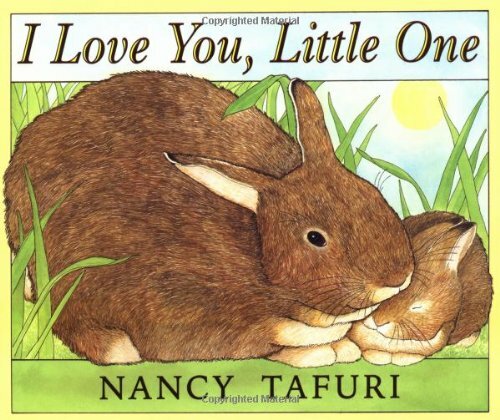 But Big Nutbrown Hare, who can reach farther and hop higher, loves him back just as much. Well then Little Nutbrown Hare loves him right up to the moon, but that’s just halfway to Big Nutbrown Hare’s love for him. I Love You, Little One: Deep in the woods, animal mothers reassure their little ones of the many ways they are loved. Endearing, full-color artwork from a Caldecott Honor artist highlights the bond between parent and baby. 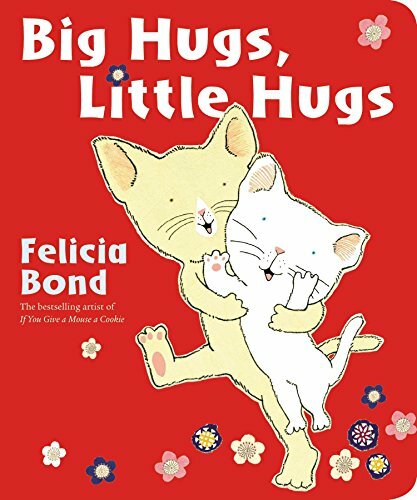 Big Hugs Little Hugs: With bold and beautiful art, mega-selling author and artist Felicia Bond crafts a picture book filled with animals hugging across the globe that celebrates the universality of love. Perfect for any time that you simply want to snuggle up together. 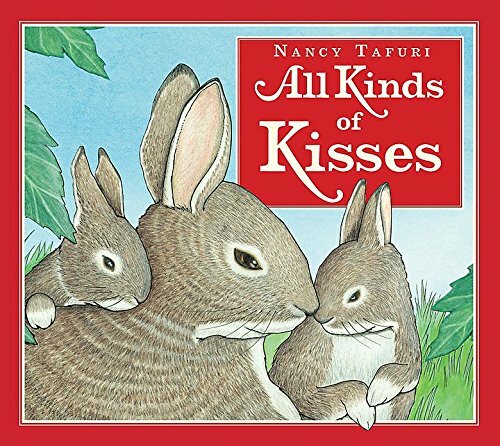 All Kinds of Kisses: Mommies and babies aren’t the only ones who enjoy sharing kisses. All throughout the farm, animal families snuggle up with their little ones, offering them warmth and love. Following a mama bird on her journey back to the nest to give her own baby some special cuddles, Nancy Tafuri uses beautiful, inviting illustration to share how different creatures, from peeping ducks to mooing cows, show their love and affection in very similar ways. A heartfelt homage to all of the wonderful kinds of kisses. 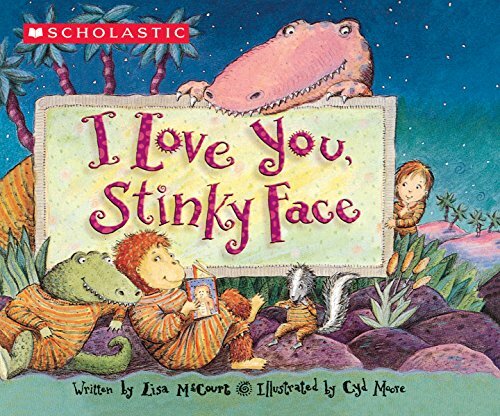 I Love You, Stinky Face: Lisa McCourt and Cyd Moore beautifully weave a reassuring tale of the love and affection of a parent. The imaginative son turns himself into a meat-eating dinosaur, a swamp creature and much, much more before being satisfied with the fact that no matter how stinky he is or how slimy of a creature he could possibly be, he is loved and nothing will change that. 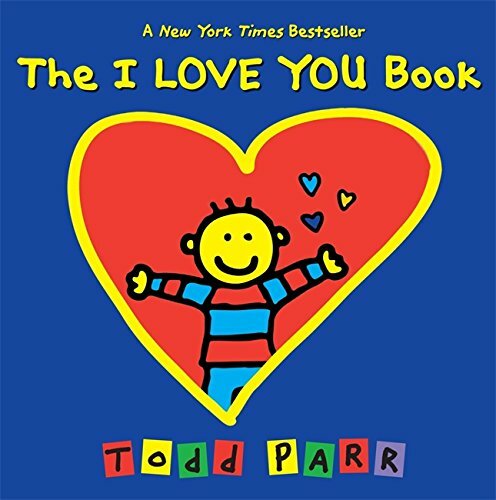 The I LOVE YOU Book: In his newest picture book, Todd Parr explores the meaning of unconditional love in a heartfelt, playful way. 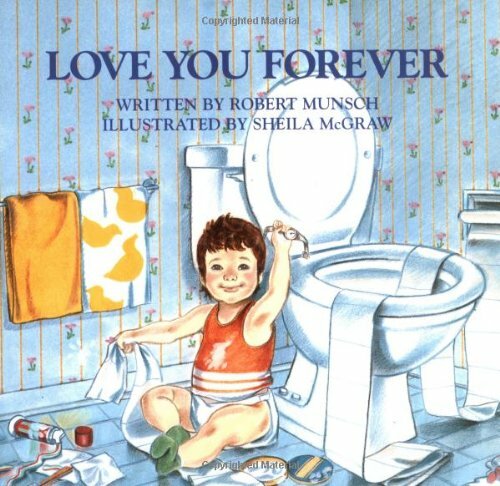 Featuring a heart-shaped die-cut and sparkling silver foil on the cover, this is the perfect way to say, “I love you!” Parents and caregivers are sure to be inspired by Todd’s vibrant illustrations and tender sentiments, and will enjoy sharing this very special book with the little ones they love. Love You Forever: A young woman holds her newborn son. And looks at him lovingly. Softly she sings to him. So begins the story that has touched the hearts of millions worldwide. Since publication in l986, Love You Forever has sold more than 15 million copies. I Would Tuck You In: Perfect for fans of The Runaway Bunny, this children’s bedtime story is filled with baby animals and their mothers: an otter tucks her little one into a kelp forest bed; a family of brown bears snuggle all through the winter; a bowhead whale sings a song to soothe her calf. Lovingly illustrated and lyrically written, I Would Tuck You In is written and illustrated by husband-and-wife author and artist team Mitchell Watley and Sarah Asper-Smith. Like these night time picture books? Find even more engaging book lists for kids with more than 100 book-themed reading lists! Oh, that book is such a sweet one! The Runaway Bunny was definitely my boys’ favorite one. 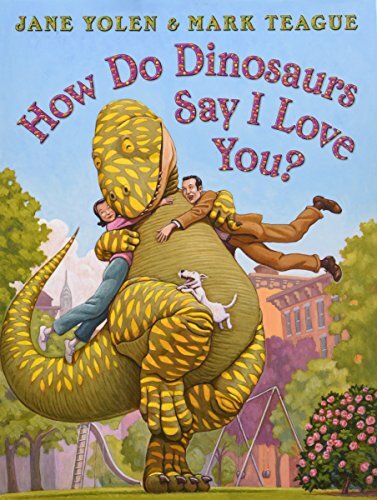 one of my kids faorite books is How Dinosaurs say I love you. Will have to check out the rest of the list. We just love the whole series of How Dinosaurs. 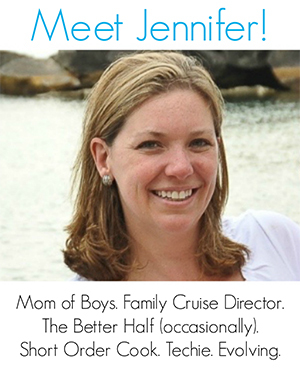 Be sure to check out the others! You’re guaranteed to find one you’re going to fall in love with. Wow! I never really thought about how many were with that theme! Great compilation! Thanks, Roshni! Do you have a favorite? Love this idea for a book list. We love the book I Love You Stinky Face. It’s so cute! Katie — You are definitely not the only one! Many of these are favorites at our house. 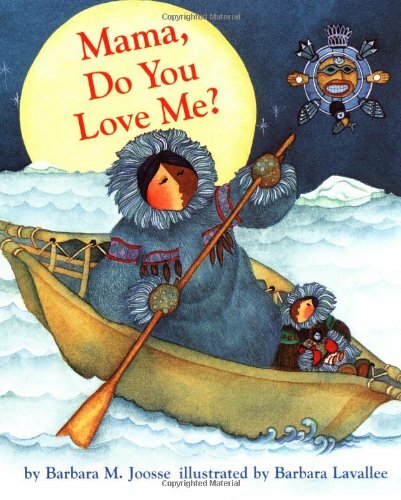 Another great “I Love You” book that we discovered when seeking out bilingual Spanish-English books is You Are My I Love You/Tu Eres Mi Te Quiero. My boys love it. It is such a sweet book. This is a great list. It includes some that are classics at our house and some that I’m sure my kids would love. I hope that my kids can know that I love them because I take the time to read bedtime stories and these books would just reinforce that.